Tom was awesome. We really enjoyed talking with him and he served up a lovely breakfast full of craic for my Aunt. Great conversation. Thanks again Tom. Good location to downtown. Owners very friendly and helpful. Room comfortable if small. Great location and the staff was wonderful..very nice and provided lot of information about the area. 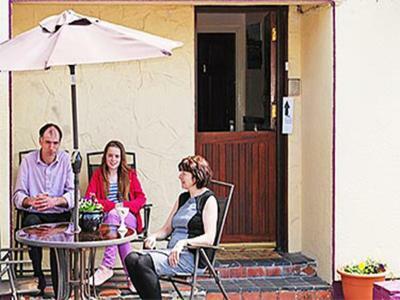 Location is excellent , and parking and the people who looked after us during our stay couldn't have been more welcoming, helpful and informative. 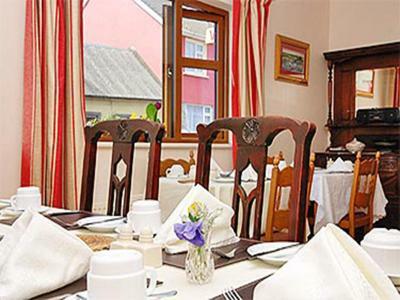 Very clean , comfortable and breakfast was lovely with bread ECT. From local bakery. What a lovely welcome we got from Veronica and Tom,an ideal place for our stay on New Year’s Eve with some lovely mulled wine from the hosts! Ps be sure not to miss Tom’s cooked breakfast-really set us up for the day! A great way to start 2019! We will be back! Tom was welcoming and friendly. We had a huge bed in a very small room with a tiny bathroom, but the location was excellent as you could walk everywhere and there was parking for the car. We had a great cooked breakfast in the morning to set us on our way. 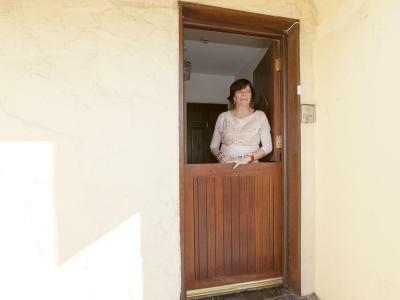 The property was well located and Tom was a very friendly and helpful host. Free parking available. 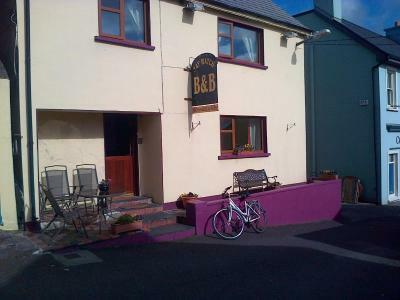 I liked the closeness to town,it's right in town, quite close to the bus station easy to get around..The couple that run the place are extremely friendly and accommodating,they went above and beyond for me..Tom makes a mean Irish breakfast and his coffee is excellent..I recommend this B&B highly and Dingle as well..
One of our top picks in Dingle.Located in the popular seaside resort of Dingle, on the Dingle Peninsula, Baywatch is a family-run B&B offering easy access to the seafront, water sports, mountain trekking, and fishing. 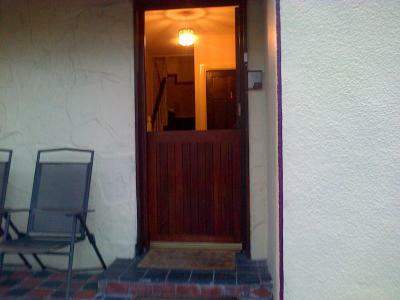 It is located in a quiet street and offers free, secure off-street parking. 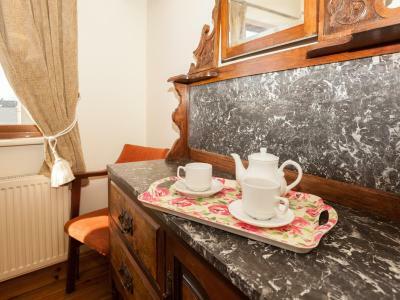 Each room at Bay Watch B&B features an private bathroom with free toiletries, a TV, and free Wi-Fi. All rooms are on the quiet side of the street so road noise is minimal. The owner's artwork is displayed throughout the property and specializes in landscape. 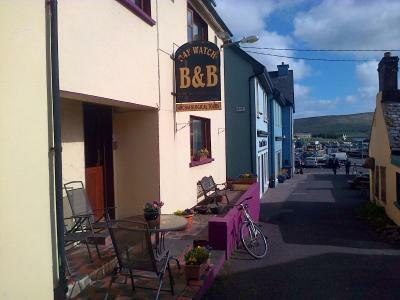 The B&B is located next to traditional Irish pubs and restaurants, where guests can enjoy the famous Irish hospitality. 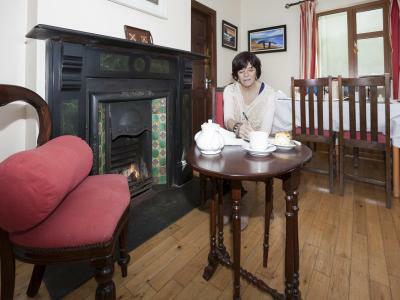 The Baywatch B&B can assist with arrangements for local dinner reservations and boat trips to the Blaskets. Guests can sit in the sun on the property's front-facing veranda and watch fishing boats. The property is decorated with paintings from local artists. 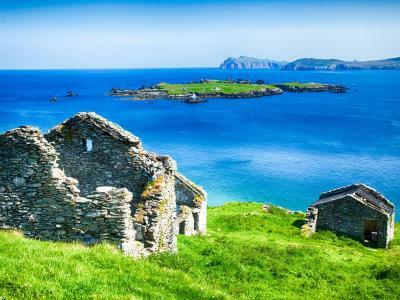 With free private car, bike, and motorcycle parking, the property is just 9.9 mi from Ceann Sibeal Dingle Golf Club. 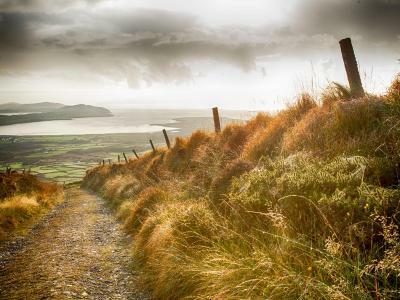 The popular Ring of Kerry trail, starting from Killarney, an hour’s drive from the B&B, offers stunning views of the Irish landscape. 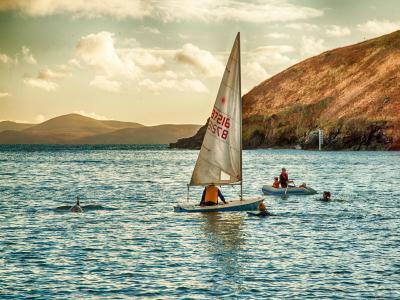 This is our guests' favorite part of Dingle, according to independent reviews. 뀐 Located in the top-rated area in Dingle, this property has an excellent location score of 9.3! When would you like to stay at Baywatch B&B? An private bathroom with free toiletries, a TV, and free WiFi feature in this spacious, quiet room. The room features a super king-size bed. 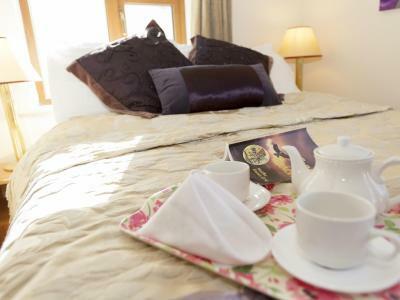 This cozy triple room offers a double bed and a single bed. The room also includes a fridge, TV, a hairdryer, and a spacious bathroom. 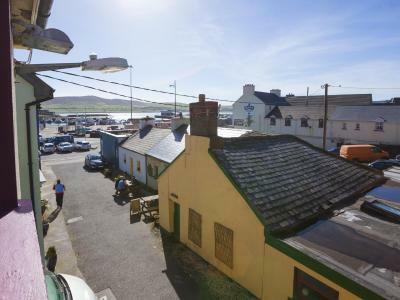 With a commanding view of the Dingle Marina, this bedroom with attached bathroom is located on the second floor . 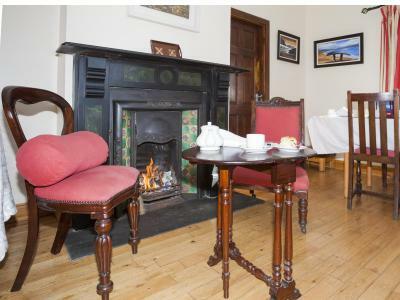 The room has complimentary tea and coffee making facilities, along with free WiFi, toiletries, and a TV. 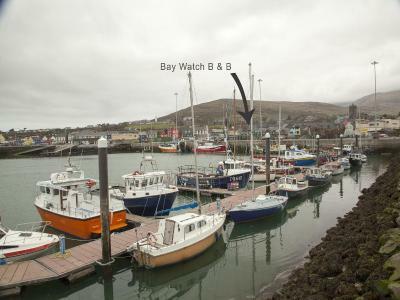 Bay Watch, is located on the harbour front, 50 paces beside pubs stores, music stores etc. we are gay friendly with a welcome for all nationalities, Failte Veronica and Tom. House Rules Baywatch B&B takes special requests – add in the next step! Prior to arrival, guests are kindly requested to contact the Baywatch B&B with an estimated check-in time. Breakfast is served until 10:30. Directions: On arrival at Dingle on the N86, take a left at the roundabout beside the ESSO garage . At the next junction Murphys Pub will be on the left and Strand House. Drive up alongside Strand House. Baywatch will be on the left. Free secure off street parking. Please inform Baywatch B&B of your expected arrival time in advance. You can use the Special Requests box when booking, or contact the property directly using the contact details in your confirmation. Bathroom was very small and not much hot water on the first night. Lovely people, great location. Nice breakfast. I would go again. Only minor thing I would say is the ensuite was small ,however still met our needs. Took too long to get breakfast. Had to wait until proprietor returned from somewhere to get into our room. 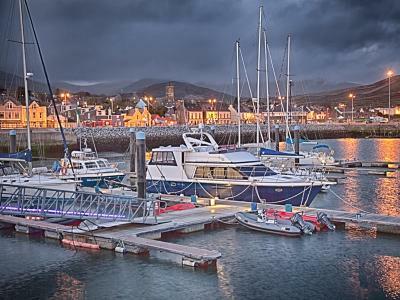 I think it is overpriced for what you get but I guess that’s Dingle for you as it is a very touristy place. No shampoo in shower, no shower mat, Nobody made bed on second day Very expensive for what you got. Will not be back.